Consolidated reports or consolidated financial statements are the financial statements of a company in which the assets, liabilities, equity, income, expenses and cash flows of the parent company and its subsidiaries are presented as those of a single economic entity. 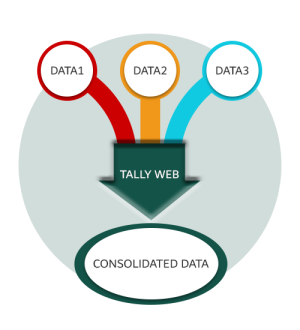 Tally Web by Imbibe is your ideal finance reporting solution as it provides a one-stop access to all your financial data on the move. For any query or assistance, you may fill up the contact form below.